Every two weeks, there will be a new episode and a new illustration. The story will conclude a year from now. 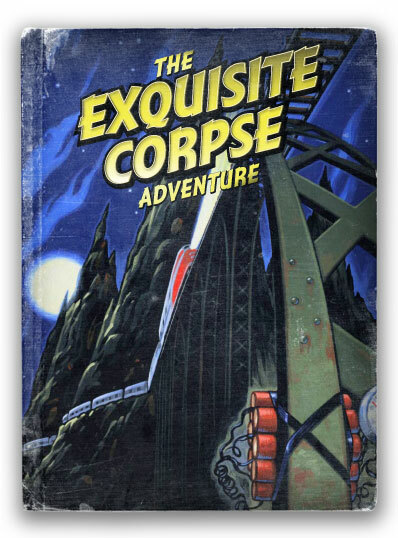 To get bi-weekly updates with new Exquisite Corpse Adventure chapters, click on the subscribe link at the top of the page. "This story starts with a train rushing through the night...." No one knows where or how it will end!